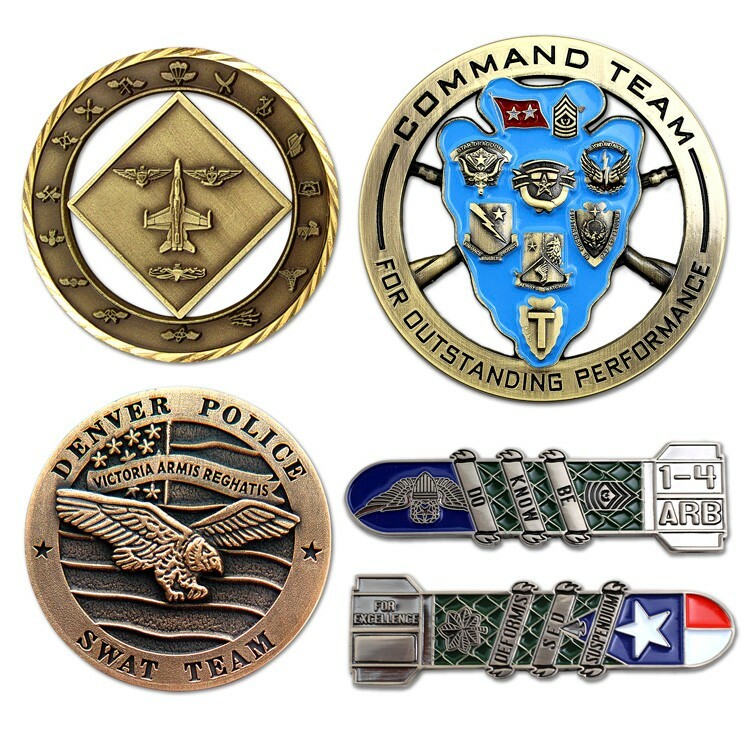 Custom Die Cast Zinc Challenge Coins extend the time-honored military tradition to corporate, law enforcement, fire and other industries and organizations. Coins create powerful and lasting recognition, award and branding campaigns. * Includes Zinc base material with your choice of gold tone brass, nickel, copper, antique nickel, antique brass or antique copper finish. * Includes up to 4 soft enamel colors. Resin enamel color fill also available.